Not feeling metallics for the office? 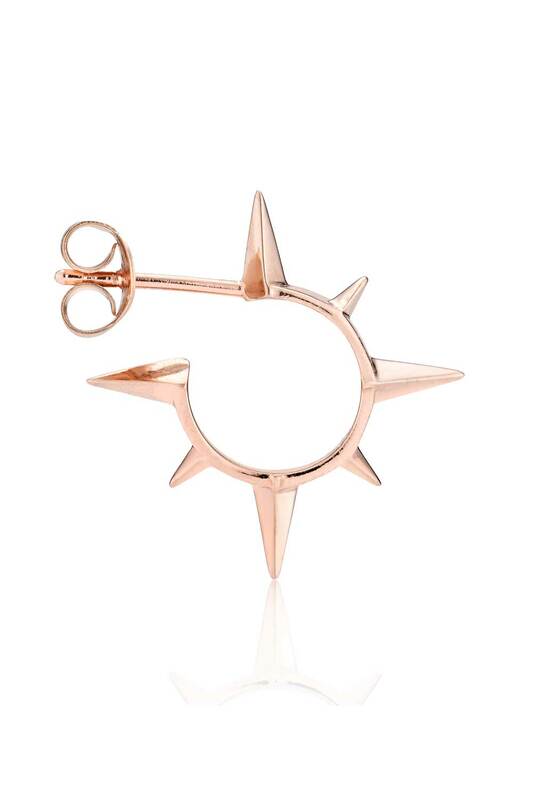 Then these Toto Spiked Hoop Earrings by Maria Black will help you make a simple but strong style statement. We’ll be making these edgy rose gold hoops the focus of an outfit with clean cut lines and a simple colour palette for a chic, understated look. 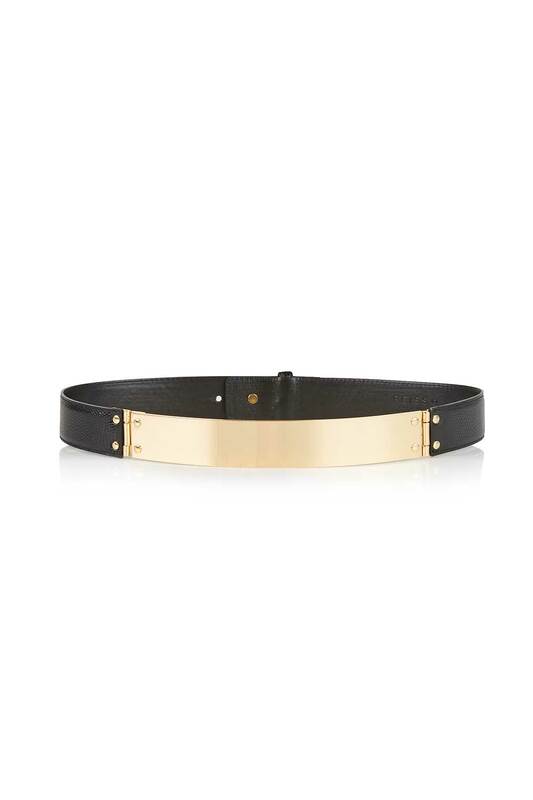 You can never have too many belts and Reiss’ luxe leather number with a high-shine gold metallic hinge is about to become our new favourite wardrobe staple. In classic black, it’s adjustable so you either wear it tight to your waist or go for a looser fit on your hips. 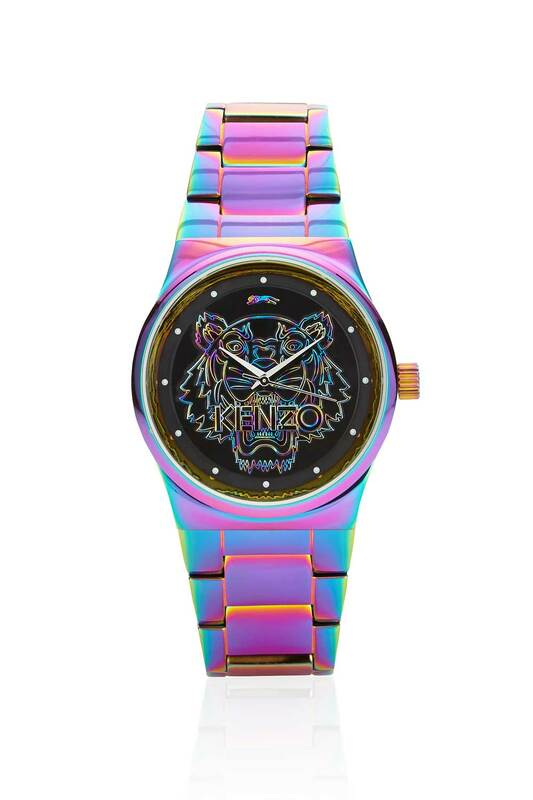 Thanks to this Tiger Motif Watch by Kenzo, more is definitely more! This petrol-coloured timepiece, which features a kaleidoscope of iridescent colour to the face and strap, will add a playful finish to whatever you team it with. We can’t wait to wear it with a classic black T-shirt and our go-to black skinnies.